Many people ask how to secure Skype from IP resolvers and the answer is the best & most reliable way is to set our SOCKS5 Proxy in the Skype options! Host is your "uXXXXXX.nvpn.so" hostname that you will find in your OpenVPN config file. Additionally make a tick at "Allow direct connections to your contacts only". 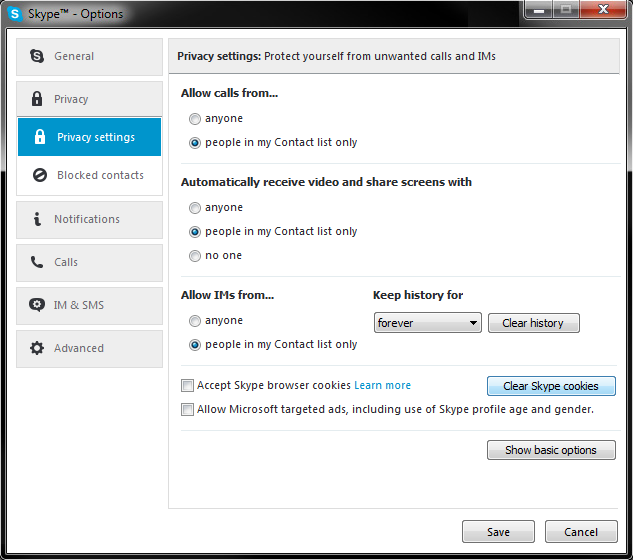 Moreover, go to the privacy tab of your settings and (if checked) uncheck the box that says "Accept Skype Browser Cookies" and as well click on "Clear Skype cookies". 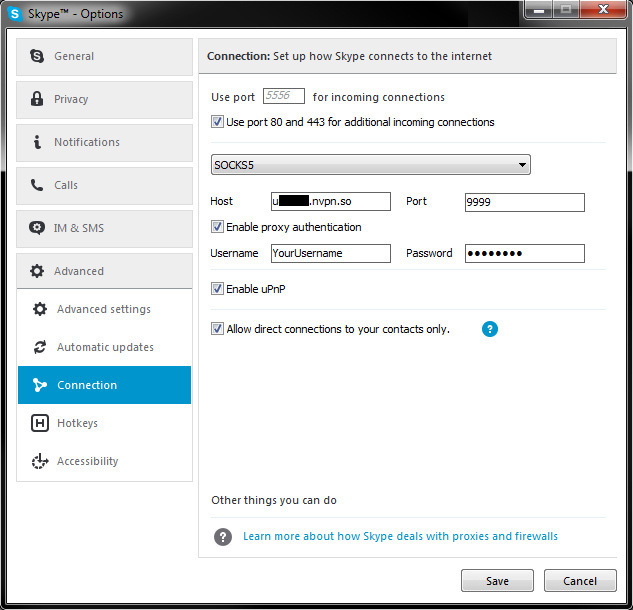 Click the Save button, but do NOT restart Skype yet, we are not done yet. this will list your endpoints. You want just one endpoint, which is your computer. Check your Skype username in any Skype resolver and you will see our SOCKS5 IP (most resolvers store a previous login history, so check again after a 24-48 hours delay period).